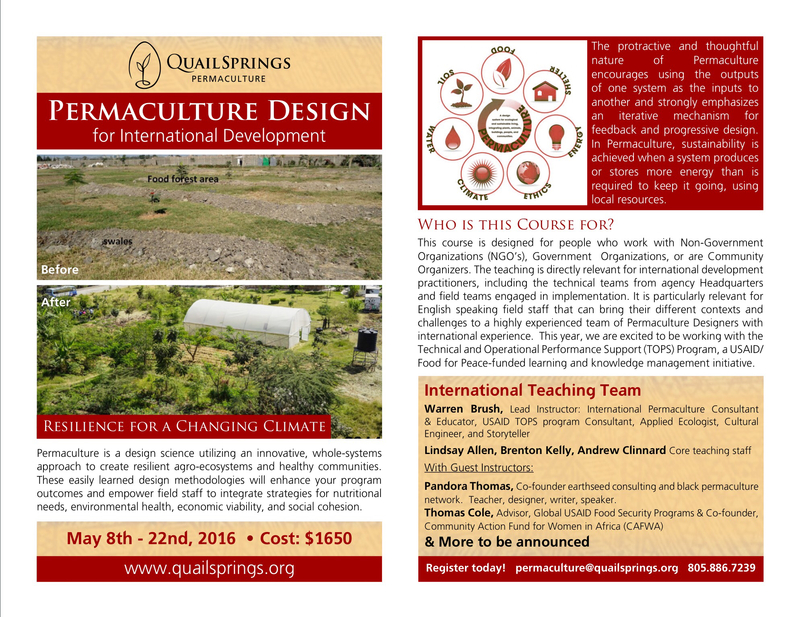 Here is the announcement for Quail Springs permaculture design certification (PDC). course for International Development at Quail Springs this May. We just heard there is a chance that Steve Gliessman, the grandfather of Agroecology, may be able to teach. We will get confirmation in April as to whether he will be able teach here this year.